The bigger news is that I got to see a lot of Snowbird action today. Today was the day that the RCAF Snowbirds were leaving CYKF after the Waterloo Airshow this past weekend. 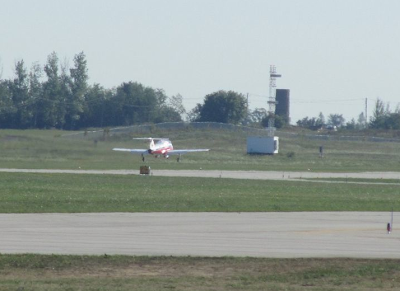 While I was doing my walk-around, I got to see Snowbirds 1, 2 and 3 depart from runway 08 at CYKF. 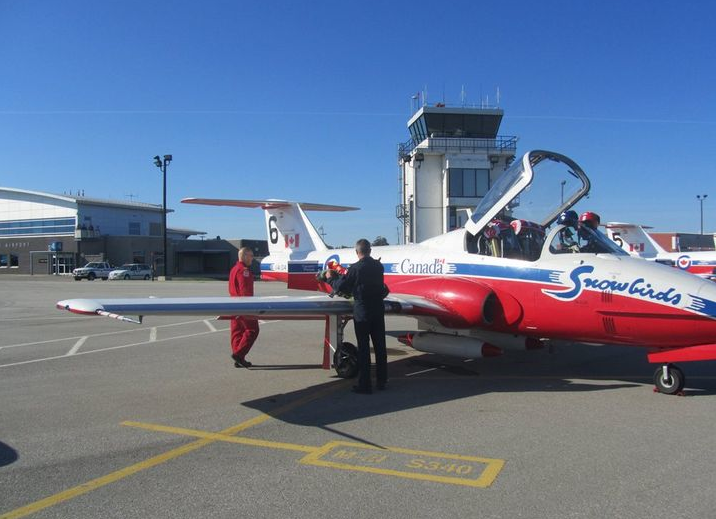 As I was heading to the washroom before my flight, I got to have a short conversation with a Snowbird pilot and Aviation Technician. 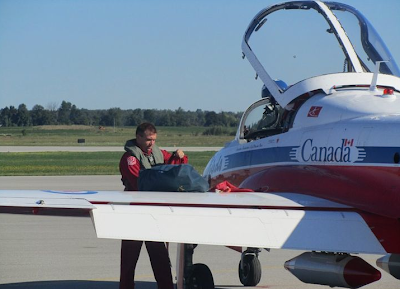 After I landed from my flight, I heard multiple Snowbirds on the ground frequency and got to watch them leave on Runway 08. As I left the airport, the only Snowbird remaining was Snowbird number 10. So, if all goes well next Saturday, my next post here will be about my first solo :D Wish me luck!